Since Melissa and Dallas Hartwig introduced Whole30 in 2009, the program has been changing lives. This plan is designed to stop cravings, build healthy eating habits, and reset your metabolism while bolstering your immunity and healing your digestive tract. As you might have guessed from the diet’s name, this takes place over the course of 30 days. Whether you’re planning to get started with Whole30 or if you’re simply curious about what the plan entails, you’ll appreciate our Whole30 food list. 2017 is as good a time as any to get started – and this plan provides benefits that just about everyone can appreciate. Besides these benefits, some participants report that they resolved some serious issues ranging from diabetes to infertility to fibromyalgia by following Whole30. The program is free to follow, making it more accessible than some others. One of the best things about Whole30 is that it’s very simple. There are no crazy rules, just basic natural foods. In fact, many of the foods you already count among your favorites may be on the Whole30 shopping list. All fresh and frozen vegetables, preferably organic, i.e. All fresh and frozen fruit, preferably organic, i.e. Raw nuts & seeds, i.e. If you have a Costco membership, plan to put it to good use while you’re following the Whole30 diet plan. While it’s true that Costco items often vary from one store to the next, most of them carry plenty of great basics that make it very easy to minimize the amount of shopping that you have to do while eating like royalty and perhaps even saving some money by purchasing items from your Whole30 shopping list at Costco. Here are some favorites to consider. As you can tell from reading the Whole30 Food List, this is a plan that revolves around clean, healthy eating. The premise of the diet is to follow the plan for 30 whole days without cheating. Afterward, it’s recommended that you follow an eating plan similar to the Paleo diet. You’ll be ditching all dairy except for ghee. True, cow’s milk and products made from it are high in protein; unfortunately for cheese lovers everywhere, these products are also linked to inflammation. Many people are sensitive to dairy and don’t even know it. Your flatter stomach and improved health will thank you. You’ll say “sayonara” to sugar. All sugar is banned on Whole30, with the exception of fresh, frozen, and the occasional dried fruit. Any concentrated sugar – even unprocessed varieties – is forbidden. This means no honey, no agave nectar, no maple syrup, no corn syrup, and no foods or beverages containing these ingredients. Because part of the goal while on Whole30 is to rid you of your sweet tooth, you’ll be avoiding artificial sweeteners, too. You’ll also avoid natural calorie-free sweeteners like stevia, xylitol, and monkfruit. You’ll give all grains the boot. Like the Paleo diet, the Whole30 diet forbids followers from consuming grains. Wheat, spelt, rye, kamut, quinoa, barley, and other grains are completely eliminated from your eating plan, and so are things that contain them; i.e. pasta, bread, donuts, cakes, etc. You will drastically increase your intake of fruits, vegetables, nuts, and seeds. 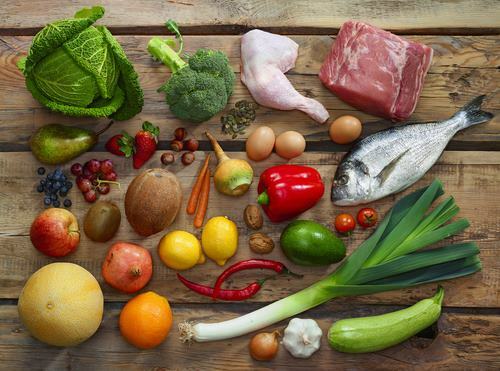 With just a few exceptions, all plant-based foods are suitable for the Whole30 diet plan. You can enjoy nut milks as long as they have no added sugar, you can learn to make your own nut cheeses (try cashew cheese!) and you can even enjoy starchy vegetables like potatoes, sweet potatoes, carrots, and parsnips. You’ll probably become a better cook. Since most prepackaged foods aren’t recommended for use while on Whole30, you’ll enjoy lots of interesting alternatives. A veggie spiralizer, a food processer, a blender, and of course your pots, pans, and oven are going to become your new best friends. It’s highly recommended that you read up on the Whole30 diet, find some recipes that appeal to you, and get to work in the kitchen. Making recipes ahead and storing them in the freezer can help if you’re normally reliant on pre-packaged foods. Of course, you can easily enjoy salad topped with the protein of your choice, too. While you’re following the Whole30 diet, you’ll want to eat minimally processed foods with no added sugar. That means that the Whole30 “Foods to Avoid” list is a long one. There is a very short list of Whole30 approved packaged foods, but in general, most packaged items are to be avoided. Grains of all types, i.e. Processed and junk foods, i.e. Soybeans and soy products, i.e. Good news! 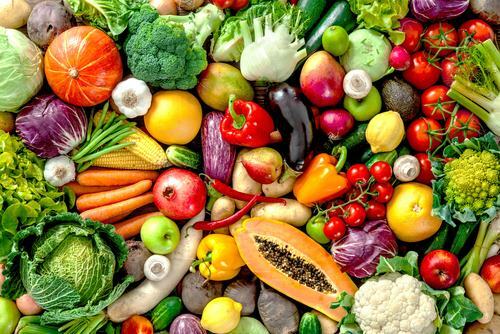 Although the standard Whole30 diet is geared toward omnivores, vegetarians and vegans can easily tailor this plan to their preferences and thrive on it. If you’re an ovo-lacto vegetarian, you can keep on eating eggs but you’ll join the crowd in giving up dairy for the duration. If you’re vegan, you’ll stop eating legumes, including soy products like tofu and tempeh. Most packaged “convenience” foods are out, and so is seitan. What does this leave you with? Tons of fruit, veggies, nuts, nut milks, sugar-free nut butters, and nut cheeses (now is the time to break out the recipe books). Chia seeds, flax seeds, and of course coconut and coconut products are in, and so are other seeds – pepitas and sunflower seeds give you plenty of healthy fat and protein while staving off hunger. Remember to supplement with B12. If you’re already vegan, you’re probably doing this now. Get creative with your cooking. There are lots of vegan convenience foods on the market and there’s no doubt that they’ve made life easier for those who choose to eat them. Unfortunately, most aren’t suitable for Whole30. So get out those fancy cookbooks and spend some time in the kitchen. Focus on nutrient-dense foods, especially those high in protein, i.e. broccoli, leafy greens, nuts, and chia seeds. 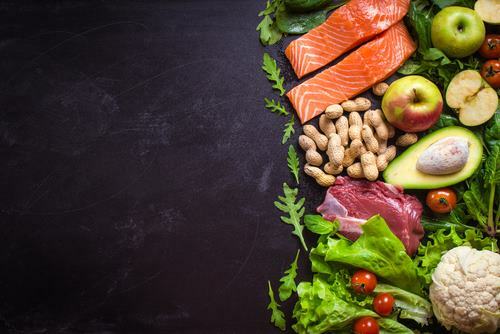 Most of the foods you’ll be enjoying on Whole30 come minimally packaged – think of things like meat, fish, and vegetables and the protective packs they come in, and for the most part, that’s the extent of the packaging. Besides these though, there are a few Whole30-approved packaged foods that can make life a bit more interesting while you’re cleaning up your dietary act.